Spend $250.00 more to get free shipping! Genuine Subaru Accessory. Key Chain. Made from 1/8" thick 304 stainless steel, with a brushed finish and permanent black laser etched graphics. SubaruPartsForYou.com is an internet-based supplier of genuine Subaru parts, accessories, and apparel. Since 2004, we have shipped thousands of orders to customers across the United States of America. After more than a decade of serving the Subaru community, we decided that we needed an update. In May 2016, we launched a brand new platform. Our goal is to provide Subaru drivers and enthusiasts with the best customer experience on the Internet. Our new website is user-friendly, simple in design and efficient in execution. It is also mobile and tablet friendly. SubaruPartsForYou.com gives you the ability to purchase genuine, original equipment manufacturer (OEM) products for less than the manufacturer’s suggested retail price (MSRP). We are able to provide these discounts because we are a subdivision of an official Subaru Dealer located in Connecticut.Searching for parts and accessories has never been easier. A search box can be used to lookup parts by name or part number. We also have a selection of primary categories of parts and accessories, each of which contains a set of subcategories.As always, we welcome inquiries and feedback. We do business in the United States. All transactions originating from i p addresses outside of North American will not be processed. Any order that is flagged by our fraud detection software will be not be processed. There are several scenarios that may cause the software to flag an order as fraud or possibly fraud. We do not work with exporters nor do we agree to provide extra paperwork, documents or the like. The best way to communicate with our team is via email at SubaruPFY@gmail.com. If you place an order on the site we strongly recommend you create an account on the site which will allow for better communication, order history and tracking and also for future use. What are the policies and rules for ordering from and using this website? When possible we will contact you to confirm website policy. Please provide a legitimate email address with the order and check the spam folder is not hiding our emails. All electrical parts and special-orders are sale-final. Often we will send an email for a VIN# which is necessary to match the part to the vehicle using Subaru's look-up system. Failure to provide a proper North American VIN means we may have to either cancel the order or simply fill it without any guarantee, this policy is to safe everyone a lot of anguish and wasted time. 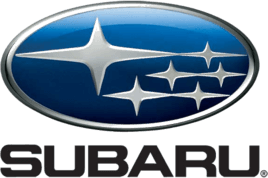 Founded in 1968, Subaru of America, Inc. (SOA) is the U.S. Sales and Marketing subsidiary of Fuji Heavy Industries (FHI) of Japan and is responsible for the distribution, marketing, sales and service of Subaru vehicles in the United States. Equipped with unique SUBARU BOXER® engine on all models and Symmetrical All-Wheel Drive on most, the Subaru product line, renowned for durability, reliability, traction and "active safety," represents one of the highest repurchase-loyalty ratings in the U.S. market. Today, the Subaru product line includes the Impreza, WRX, STI, BRZ, Legacy, Outback, Forester, and Crosstrek. Confidence in Motion is a unified global brand statement that encapsulates the aim of the Subaru brand. Confidence reflects our approach towards reliable automobile manufacturing dating back to the Subaru 360 and the relationship of trust that we have built with customers by providing enjoyment and peace of mind. In Motion expresses Subaru’s resolve to enhance customer trust by proactively staying abreast of changing trends. Through Confidence in Motion, Subaru aims to meet customer expectations for the freedom and fulfillment enabled by Subaru’s uniquely satisfying driving experience.